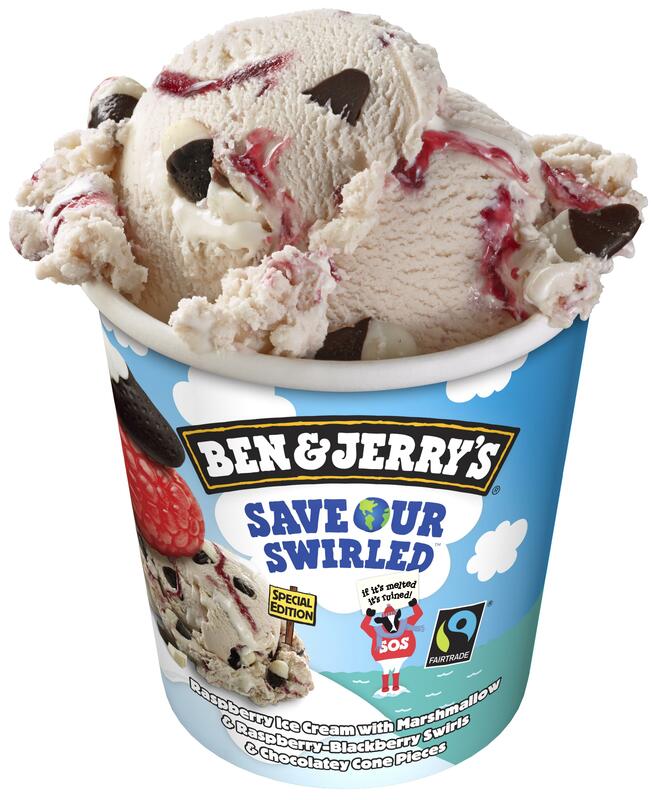 Ben & Jerry’s is making a serious issue palatable with the launch of a new euphoric ice cream flavour, Save Our Swirled. The values-led ice cream company is meeting the issue of climate change head-on with a global campaign to mobilise fans around the world to help put pressure on world leaders to take action. Ben & Jerry’s is promoting Avaaz’s worldwide petition, calling for a transition to 100% clean energy, which will be delivered to global leaders at the climate summit in Paris at the end of the year. And what would a Ben & Jerry’s activism campaign be without a chunky, swirly, euphoric flavour of its own? 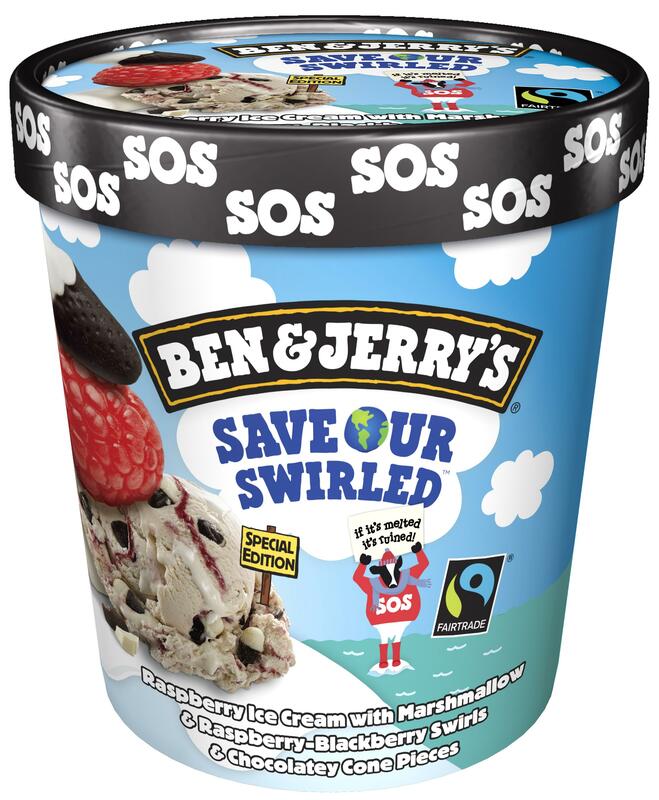 Save our Swirled is a concoction of raspberry ice cream, with marshmallow and raspberry-blackberry swirls and white and dark chocolatey cone-shaped chunks – the sweeter side of activism! 2015 is a crucial year for climate change; world leaders have set a deadline to finalise an international agreement this December that would require all nations to reduce greenhouse gas emissions in order to keep global warming below 2º Celsius. 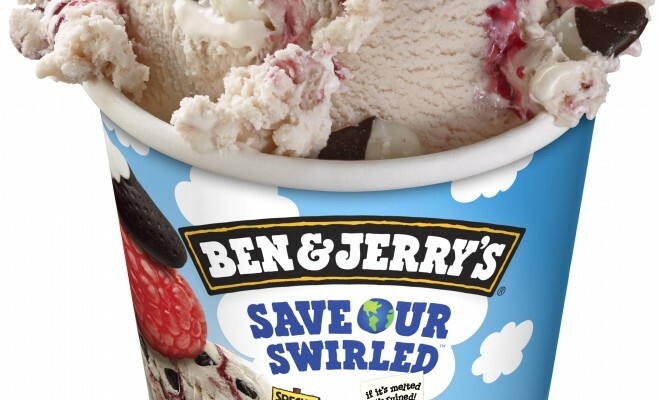 Ben & Jerry’s has been increasingly vocal on the issue of climate change, as part of its worldwide Save Our Swirled campaign – from leading an ice-cream fuelled protest in London, to creating melting ice sculptures of the UK’s political leaders, the activist company has sought to raise climate change up the agenda! Ben & Jerry’s has also launched its own internal carbon tax to create a lower carbon business model, and the flavour launch comes as the latest component to drive change! At scoop shops, events, tours and now scoops, Ben & Jerry’s is encouraging fans to stand up and take action to support the transition to 100% clean energy. Avaaz, an international organization with over 40 million members worldwide and one of the primary organisers of the People’s Climate March, has had more than 2 million signatures on the petition so far, and that’s just the beginning.